A very interesting online debate had Twitterati-Bigwigs answer a burning question that turned out to be one of the most viral hashtags in the last few days: what's better, Biryani or Pulao? 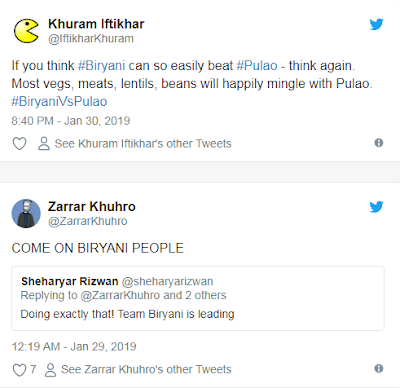 While some have opted for the perfect blend of spices for Biryani, others opted for Pulao for its modest tastes. 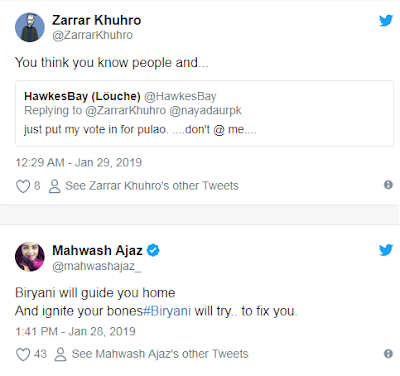 Some even compared the two with one of the few rivalries that last forever; like India vs. Pakistan, Karachi vs. Lahore and Tea vs. Coffee. 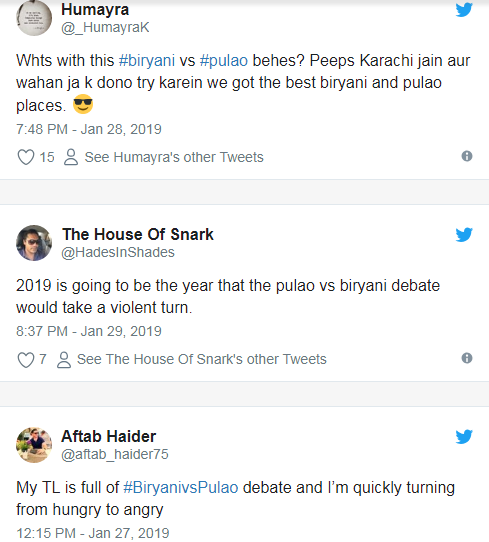 While it's hard to figure out who and what sparked the amusing debate over #BiryanivsPulao, this certainly meant that Internet users were in agreement about what they believe is the winner of this brutal competitor. 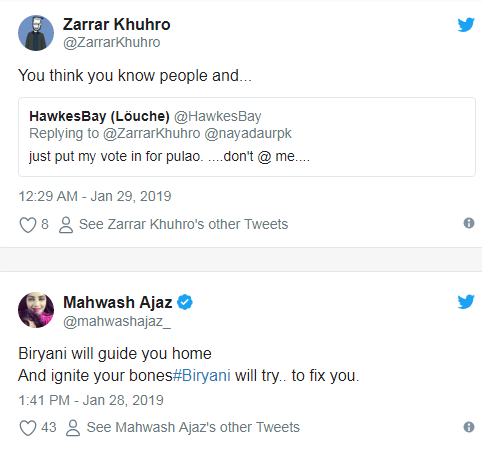 While they were supporters of both courts, Biryani won the election by a narrow margin. 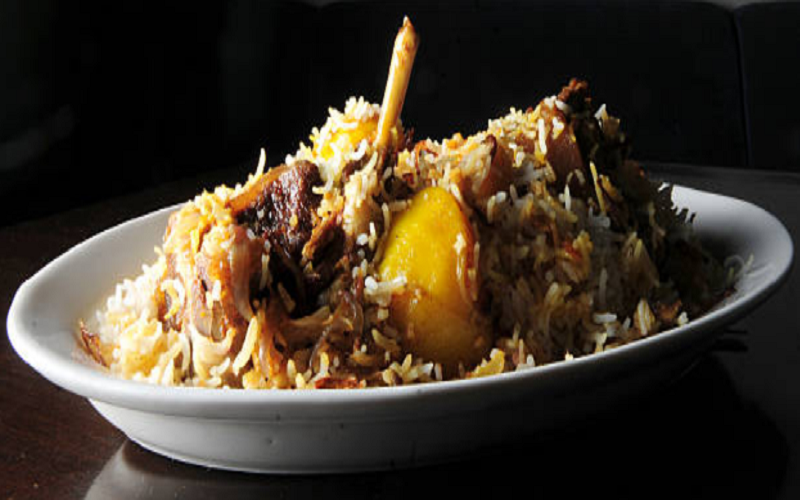 In addition, Sindh Governor House announced Thursday that it will host an annual international Biryani Festival. 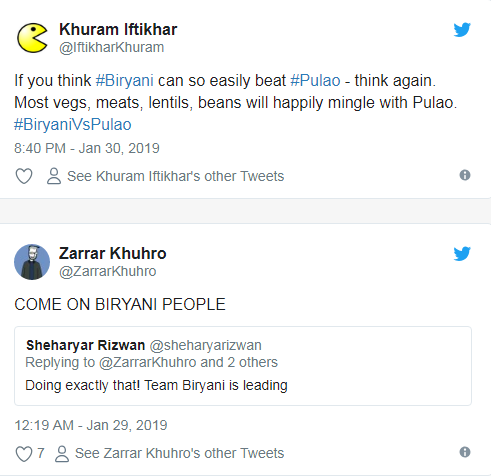 The announcement was made by Governor of Sindh, Imran Ismail, at a lunch meeting organized by the Rice Exporters Association of Pakistan (REAP).